It’s hard to believe that it was over 30 years ago that we first saw Bill and Ted’s Excellent Adventure. The most bodacious time-travelling comedy is still fun to watch, and very soon, it’ll be getting a sequel that’s definitely not heinous. 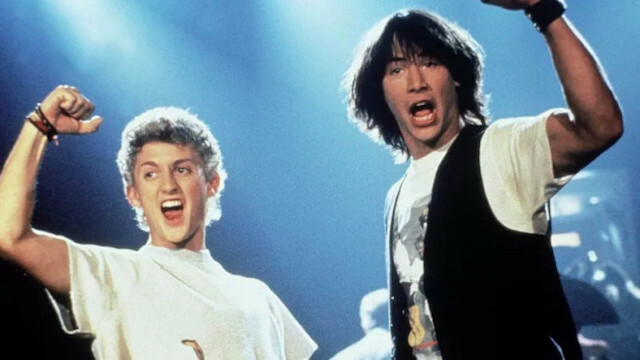 After what seems like an eternity going through pre-production, Bill and Ted Face the Music, also known as Bill and Ted 3, is set to go. Today, stars Alex Winter (Bill S. Preston, Esq.) and Keanu Reeves (Theodore “Ted” Logan) took to Twitter to confirm the news. In the short video, which you can see below, the two confirm that the film should begin production soon. What’s more, it’ll release next summer, with a August 21, 2020 release date set by the distributor. Winter then notes, “And it is all because of you guys, so we owe you a huge debt of gratitude. We wanted to say thank you.” The duo then reminds us to “be excellent” before the words “In theaters summer 2020” appear on-screen. Director Dean Parisot, of Galaxy Quest fame, will direct when shooting starts this summer. Franchise writers Chris Matheson and Ed Solomon already have a script set to go. The film will release under Orion Pictures and United Artists Releasing once it’s all set. This news sounds like just the occasion to “party on” for some fans that have waited for Bill and Ted’s return. Are you ready to see them back in action? Let us know in the comments below, dudes.